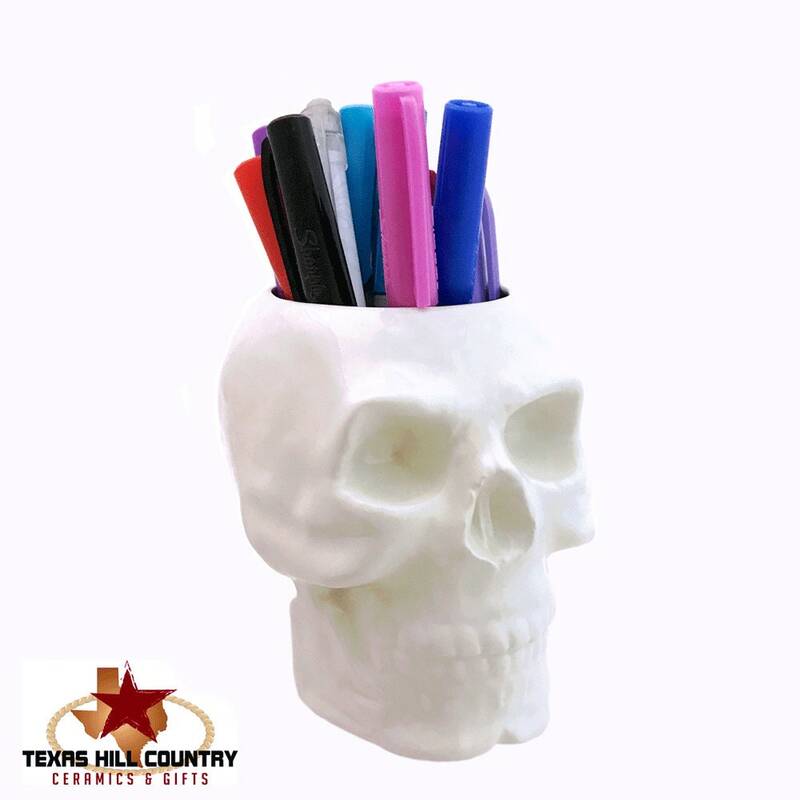 This white ceramic skull is designed to be used as a container for toothbrushes, pencils, pens, small tools normally used at a work bench or it can also be used as a planter for live, dried or silk plants. 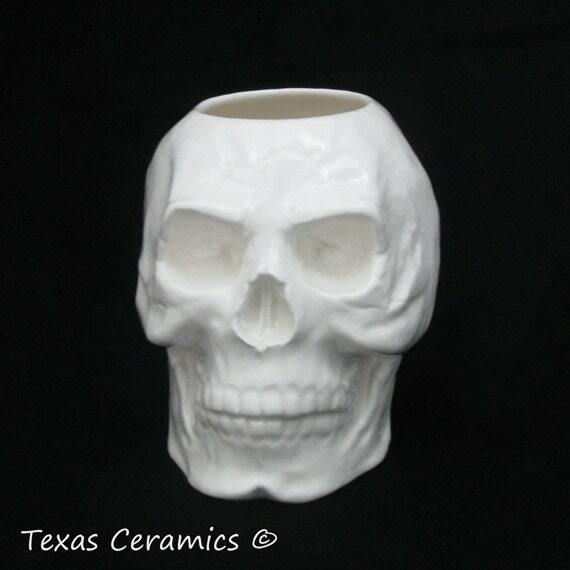 This white skull is a great piece for adding a creepy look to any area of the home or office. • Top opening measures about 2 inches in diameter. 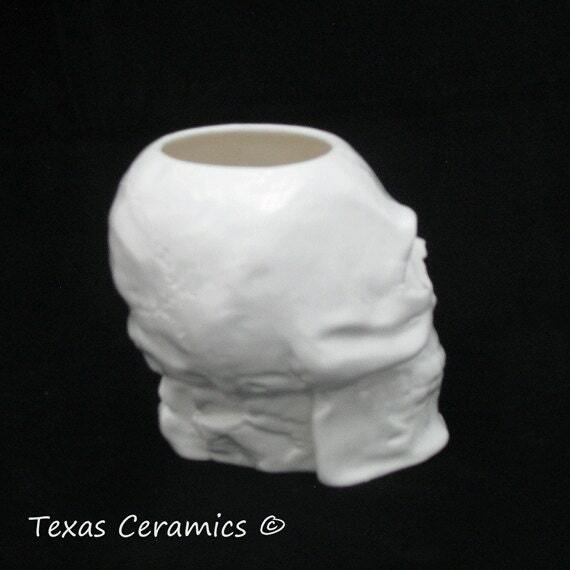 This skull container is made of slip cast earthenware and a plaster casting mold. 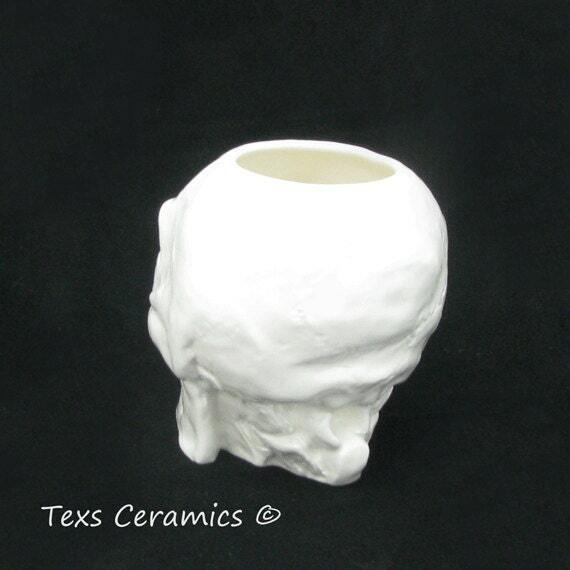 This skull is finished in a lead free white gloss glaze. 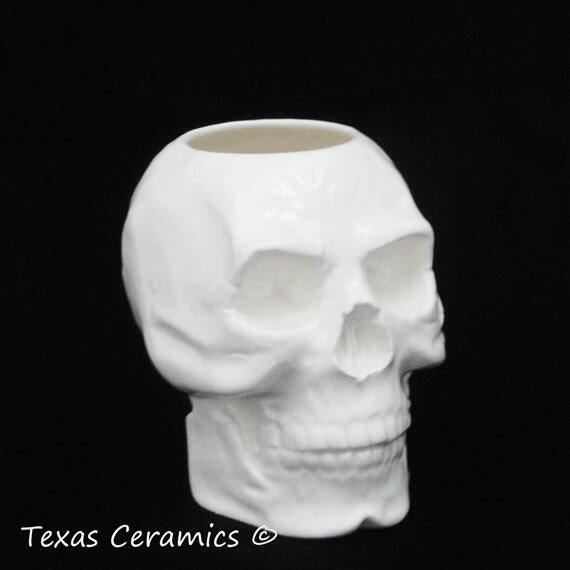 The glaze used is non-toxic, the skull is also glazed inside with the same gloss white glaze sealing the entire piece for added life. 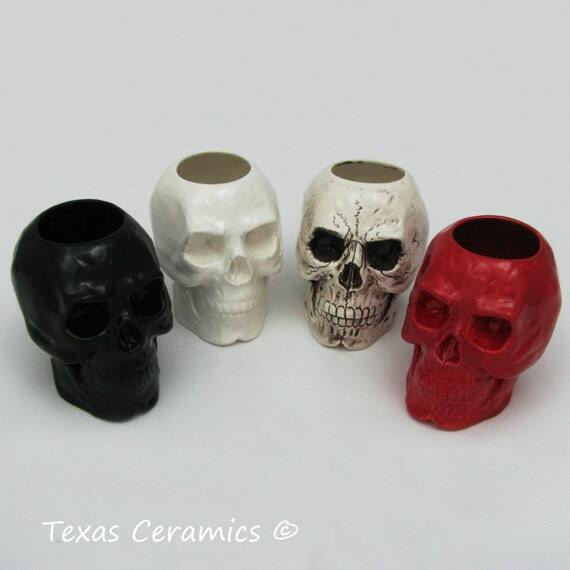 Coordinating items available including a skull cup, pump dispenser, skull plate, skull salt & pepper shakers, skull tea bag holder and more. Also available in black, red and aged. Love it fits perfect in my bathroom! This item is far more beautiful than the photos suggest. I have used mine on our bath vanity to hold makeup brushes and pencils. It's just darling and adds a touch of subtle wickedness. Very pretty item!